A foreigner prevented people from bathing in front of his property, in Chuburna Puerto. He even took out a table and chairs to make sure no one invaded ‘his beach’. 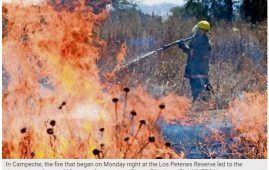 Things at the Yucatecan coast keep heating up. First because of a couple of foreigners who fenced a public beach in Santa Clara believing it was their private property, gaining the rejection of the locals and putting themselves in the middle of a legal matter and in process of sanction, when yesterday a new episode, began circulating on social networks. The photographs of another alleged abuse attributed to a foreigner of American or Canadian nationality. 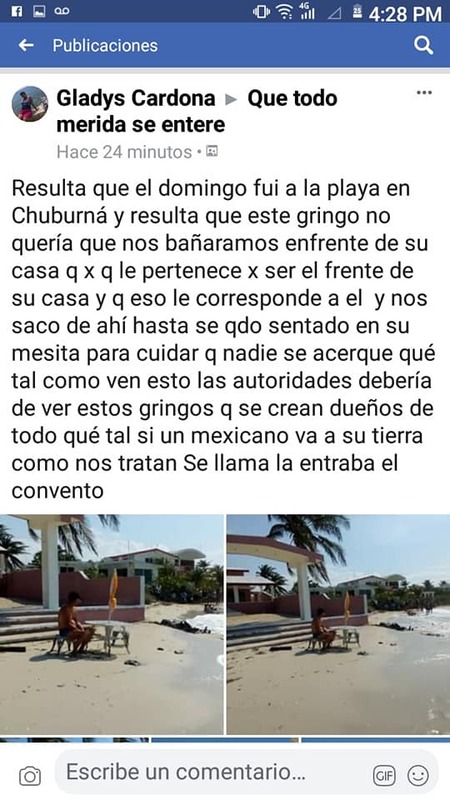 The complaint via social networks was shared by a person named “Gladys Cardona” who said that an “American” claimed that the beach was his, belonged to him and could not be invaded by a group of locals who went for a swim, in front of his house. 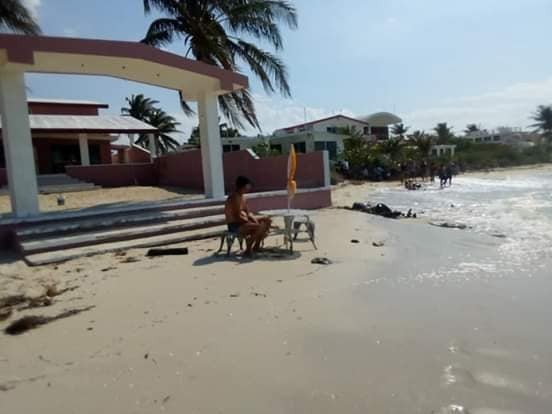 According to the publication, the foreigner took a table and chairs to the front of his house and sat down to make sure no one approached “his beach”. “The authorities should see this, the gringos think they own everything. 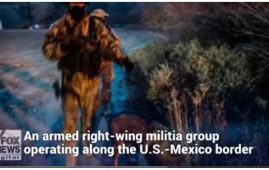 What if a Mexican does that in their country… the way they would treat us (sic) “ wrote Gladis Cardona, who reports that this encounter took place in Chuburná beach at the entrance of “El Convento”. The Yucatan Times team of reporters located Gladys Cardona’s Facebook profile where the original publication was posted. Her profile is not open, although it is fully identified. An attempt was made to contact Mrs. Cardona, who allegedly was expelled from the beach site. She has not responded to our request for an interview. Also, our news team is searching for the house mentioned and photographed in the post, in order to interview the foreigners who live there, and hear their side of the story. This type of conflict has created a situation of discomfort between local people and foreigners who, due to lack of knowdge of Mexican law believe owning land adjacent to the first row of the beach makes them owners of the beach itself, whoever, those areas are “Federal Zone” and therefore public. These stories do rather beg the question of WHY Americans and Canadians believe they own the beach. Presumably some unscrupulous Mexican realtor is not making the law clear in order to guarantee their commission. I have seen some pretty negative comments about the Yucatan Times and their reporting. I would very much appreciate further clarification from them regarding this article…have these claims been substantiated? If this IS going on, there does need to be some education to foreigners. However, I think there is indeed more to this story and behooves your journalists following up the story to gain full insight into the issue.